HUGE 25 FT to 14 Vinyl cut out of SuperStar has been made in India and being shipped to 5 metro locations in US by Rajini fans; First time ever a cutout will be put in US and that will be for our superstar. Big Garland and milk abishekam may be next? You may get a chance to see these huge cut-out in Bay Area, Chicago, New Jersey, Dallas when you visit theaters to watch Kuselan! 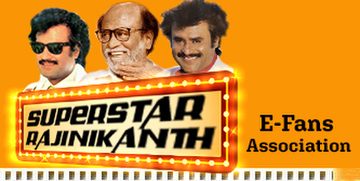 Bay area Rajini fans will have a big party next week when the banner gets unvield in IMC 6. Display permit application has been submitted in few cities/county offices.